If you like to work on your car in your garage, then you need to have the right tools. And that includes an adequate work space so you can spread your tools out. Another handy item that is essential is a good place to sit. And why not sit while you work? 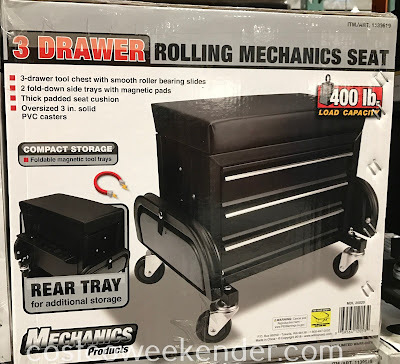 So that's where the 3-Drawer Rolling Mechanics Seat comes in. 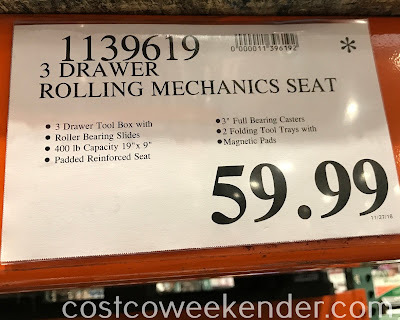 The 3-Drawer Rolling Mechanics Seat has oversized casters for smooth movement. And the drawers are connected to roller bearing slides for smooth operation. 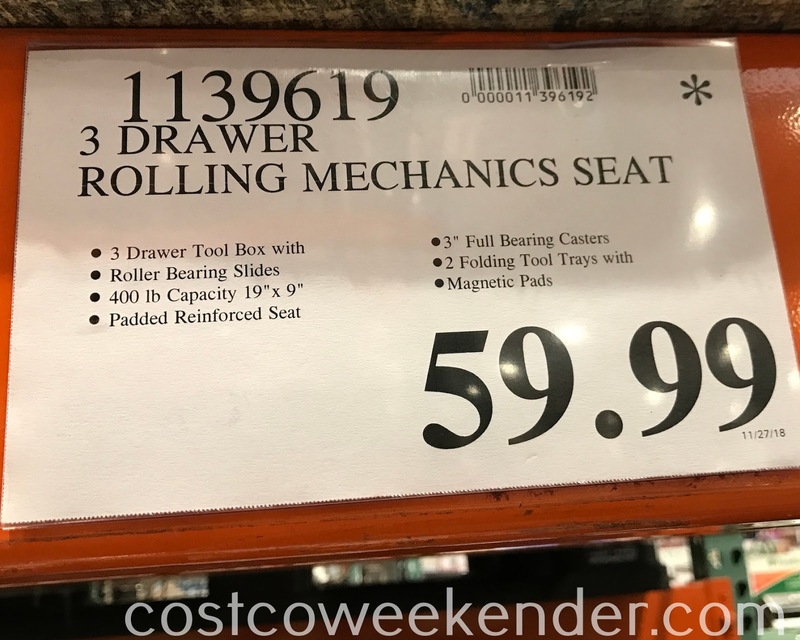 And for a small package, the 3-Drawer Rolling Mechanics Seat has plenty of storage for your tools. So get into the garage and get some work done with the 3-Drawer Rolling Mechanics Seat. 400lb load capacity, 19" x 9"